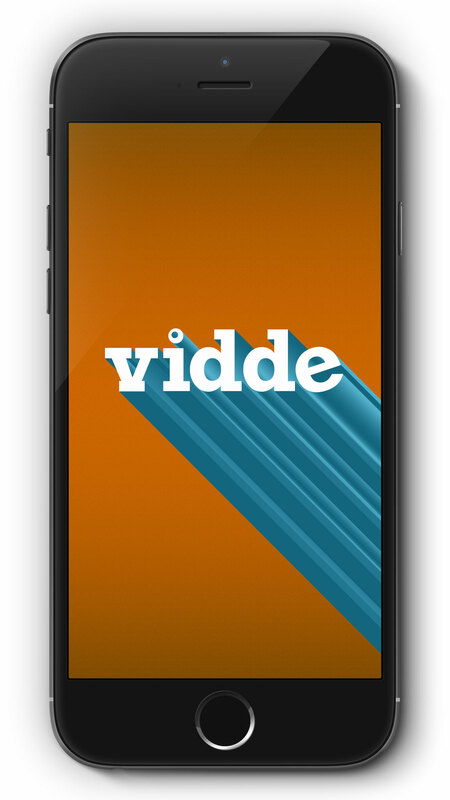 The Vidde mobile app is a platform for curated video content, intended for use on iOS and Android devices with potential for a Windows Phone port in the future. 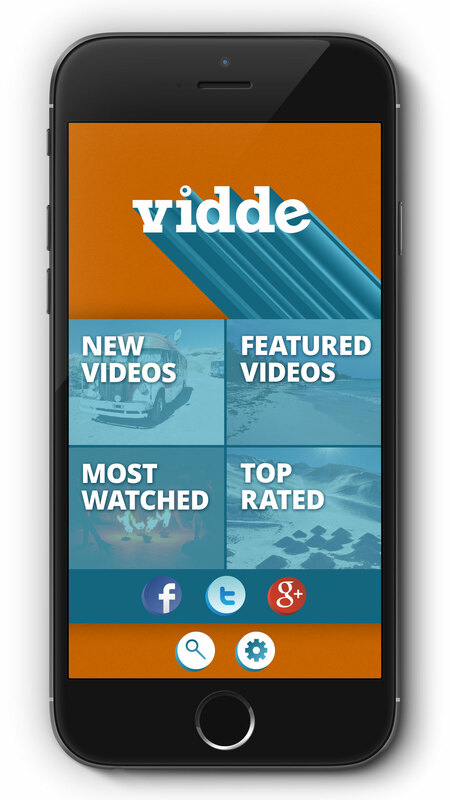 More accurately, Vidde is a simple framework for featuring videos from a variety of sources. Each could be broken down into pertinent user stories from there. I like to stick to the effective — if idiosyncratic — standard of “as a ____, I can _____” user stories, which in my experience helps keep the UX process firmly centered on the User. 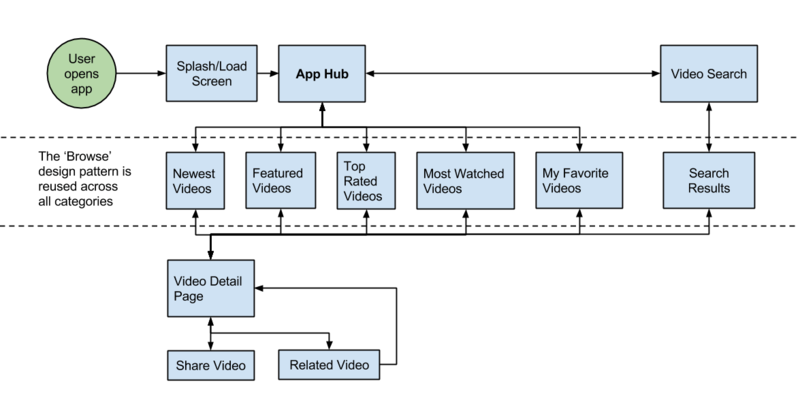 It’s important to decide on the macro structure of the app first, to help flesh out the basic experience early on instead of after the UI design has begun. 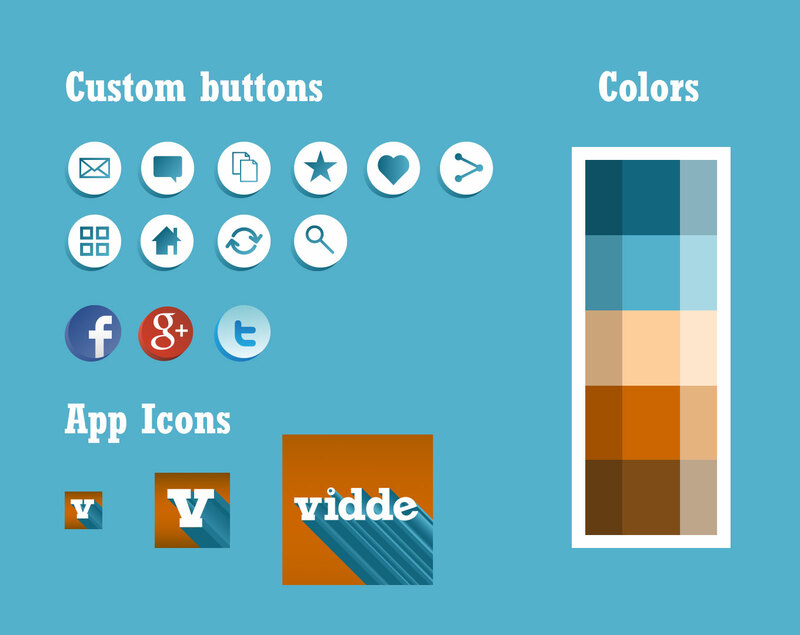 The color scheme was chosen the the stakeholders from a pool of ideas put forth by the design team. 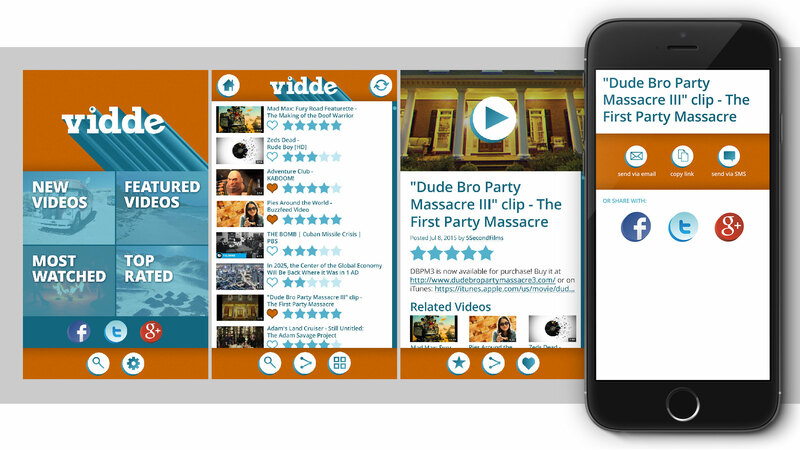 The themes at the forefront of the decision making process were “bright,” to help create a cheerful atmosphere, and “quirky,” to appeal to a younger, savvy users in a way that doesn’t alienate their older or less technically-inclined peers. Armed with my collected information, I took to my sketchbook to being connecting the information dots necessary to create a fully functioning UI. 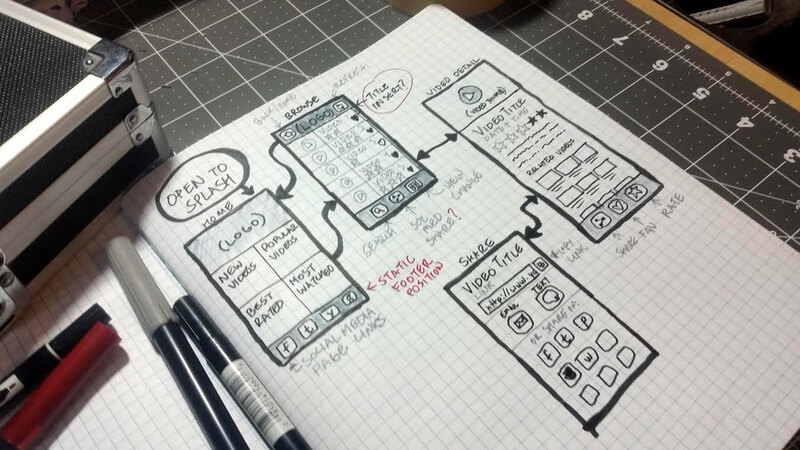 I find that hand-drawing first helps solidify ideas and rapidly correct errors. This is also a great time to solicit feedback, as major changes will only get harder from this point on. Building upon the rough sketches, I used Balsamiq Mockups to refine and polish the UI layout, giving a more formalized idea of the final product for the stakeholders to approve as well as for the first stages of prototyping by the development team. My final deliverable, these mockups take the approved layout and the approved color scheme and bring the two together in the final plan for the look and feel of the product.